A relatively new hardware developer, Stay Level Avionix has recently entered the market and they recently got in touch to inform us of their products and work ethic. We were pretty impressed by what they had on offer and also the friendly nature of President John Albers. 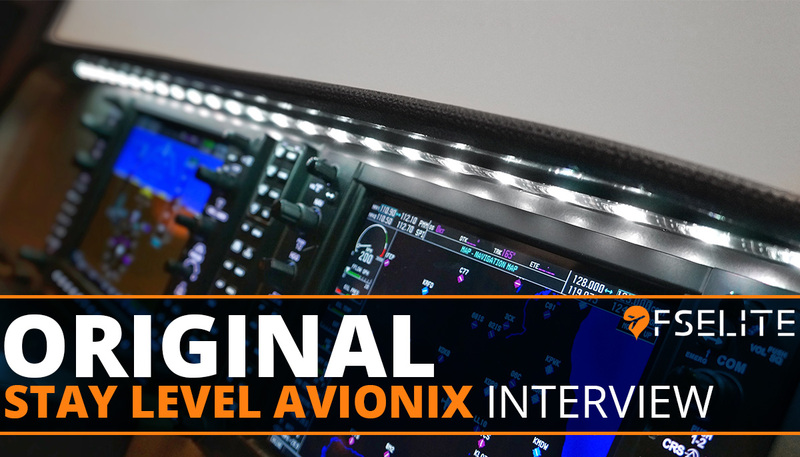 We were really excited to see his products and wanted to share with the community some more on what he and the team have on offer and a little insight into how and why he develops some rather innovative tabletop avionics panels. 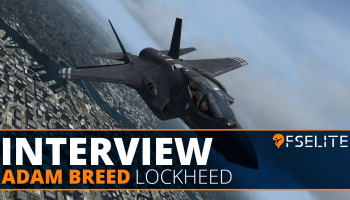 We took the time to interview John about himself, the company and what other elements of flight simulation he enjoys. It was great to speak to John. I’m also excited to announce that future products from Stay Level Avionix will be announced first exclusively at FSElite. Check out our interview with him below. FSElite: Thanks for joining our Q&A. Thanks for the opportunity, it’s great to be here. I was an early follower of FSElite, it’s great to see the growth the team has accomplished over the last couple of years. You bring a lot to the community, so thank you. FSElite: Why “Stay Level Avionix” and why the “x” vs. “cs”? Whenever my friends or I would go for a flight with our CFI, it started to become a habit of ending the conversation with “have fun and stay level”. 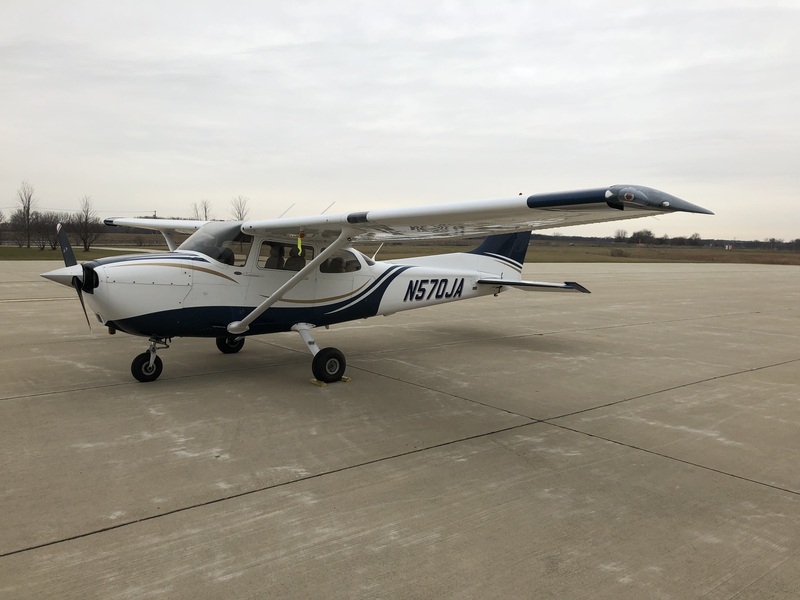 Obviously, if you are Maverick and Goose in Top Gun, staying level wasn’t an option, but for those who enjoy the GA world of the C172, staying level is a good thing. The “x” comes from two places, Microsoft Flight Simulator X and X-Plane. Without these two foundational simulators, the community wouldn’t have been able to reach the levels of success it has seen today. The “x” in the company name was my connection to recognize both simulators. 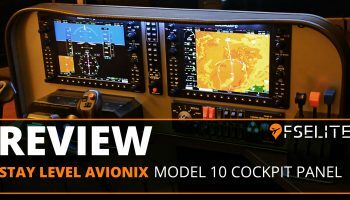 FSElite: Avionics Panels aren’t anything new, what is Stay Level Avionix doing differently? Absolutely, avionics panels exist everywhere from real aircraft to simulators. The biggest difference we bring to our products is a very strict engineering approach. By understanding the exact avionics and components used, as well as dimensional restrictions and use conditions that need to be achieved in the product, we use our capabilities to create a high quality tabletop avionics panel. Our panels are targeted to enhance the flight simulation experience by no longer requiring component to desk clamping, but also integrating all simulation components into a single tabletop product. These components range from gauges and switch panels to throttle quadrants and yokes. 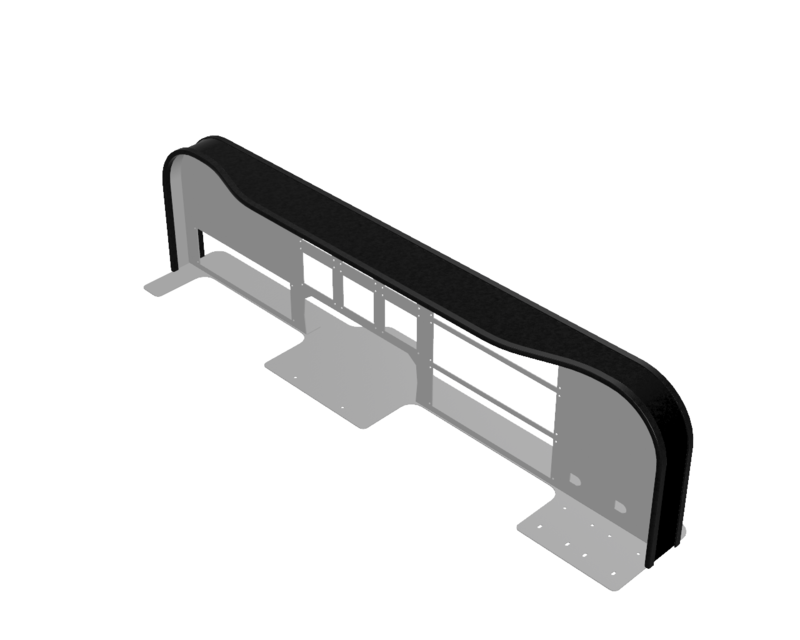 For example, to create the LED Glare shield, this component went through 9 different revisions from multiple separate pieces to a single integrated piece. It also needed to be efficient in manufacturing and cost-effective for our customers. The foam itself went through 14 revisions until I found the perfect high density, engineered foam. We ultimately landed on a component that not only adds a significant amount of rigidity to the overall avionics panel, but also enables the elimination of a rear back bracing system so we could physically fit the G1000 PFD, MFD, and Audio Controller, just like they fit in a real C172. Without a team coming together and re-evaluating every single step of our design, engineering and manufacturing process, this just wouldn’t be possible. This is the difference that our customers see, appreciate, and ultimately get to experience. Our product is also made in the USA, Chicago to be exact. Lastly, we offer a ton of resources for the community to get started with their SLAVX avionics panel. 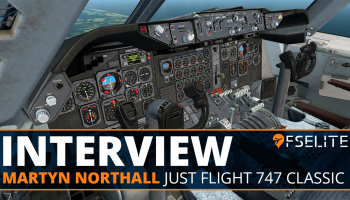 From component installation to our favorite monitor mounts, we’ve created an initial video series that is very comprehensive to hit the simulator tarmac running. FSElite: What is your favorite aircraft? Fun Fact: If you watch any of our video content on YouTube, you’ll recognize the engine spool-up on our animation is a GE90-115B. FSElite: What are the goals of Stay Level Avionix as a company? Sure – We are focused around three main goals. Enhance home flight simulation for all aviation enthusiasts. Create a product which enables a higher level of integration and familiarity with general aviation avionics. Demonstrate simplicity with home simulation and encourage customers to apply that experience to pursue an actual private pilot certificate. FSElite: How did you personally get started? Well, as with anything in life, it started with an idea. I then began to piece together a lot of connections through friends, family, and industry knowledge and 4 months later I’ve started an LLC that is selling products. On a more technical level, I was training for my Private Pilot Certificate. I’m an engineer, and I like to find efficiency in everything that I do. As I began training, I realized that there must be a solution to supplement my flight training while at home. FSElite: Can you expand upon your comments of supplementing your flight training while at home? Absolutely. I view general aviation and flight training like learning a language. If you don’t use it, you’ll lose it. One of the best pieces of feedback I received early in my flight training was to “chair fly”. For those who are unfamiliar with this concept, it isn’t to sit in a chair in front of a computer. The concept is to sit in an office chair and mentally walk through the different steps of maneuvers while flying. As I began to become proficient in maneuvers during my flight training, I found a need to add in real avionics with tactile buttons to enhance realism for my home simulation experience. Literature: Learn the aircraft systems and basic avionics via books, manuals, videos, part-task trainers, or online courseware such as Sporty’s Learn to Fly Course. Emulate: Learn your way around the PFD/MFD glass avionics environment using a part-task trainer like the stand-alone desktop G1000 Software Emulator available from Garmin or SIMiONIC on the iOS App Store. Simulate: Use a flight simulator or flight training device to master using the avionics in the context of realistic flight scenarios, with recognizable physical hardware that contain buttons and dials. Transfer to Aircraft: Transfer the skills you have built to a real airplane. I train in a G1000 C172, so one of the goals was to build a system that was very replicative of the most successful training aircraft ever built. That meant light switches and magnetos to the left of the yoke, the PFD front and center, MFD to the right, as well as flap, throttle and trim inputs to the right of the yoke. Through a greater understanding of human factors, this would begin to condition my muscle memory to be more familiar with the cockpit layout and ultimately, much more impactful when training in the real aircraft. FSElite: Across the SLAVX product lineup, what components and avionics are compatible? Right now, we are compatible with all Logitech G flight components, as well as the SIMiONIC G1000 hardware bezels. As we get closer to Flight Sim Expo and Flight Sim Con in June 2018, we will bring support for other avionics manufactures that are coming to market. This growth will create additional SLAVX models. In addition to this, we offer custom tabletop avionics panel design and manufacturing if you can’t find the panel you are looking for. FSElite: As you don’t sell a turnkey solution with avionics installed, can you expand on total investment? This is one of our most frequently asked questions that we receive, and I’m happy to answer. I completed an extensive evaluation of turnkey G1000 systems for use at home. 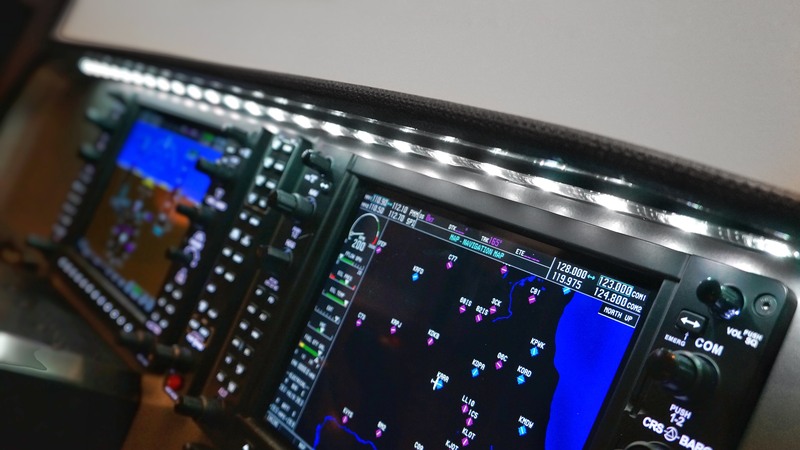 The costs ranged anywhere from $5-10,000 for just the G1000 system itself. For an FAA ATD certified system, the cost was upwards of $19,000 USD. Anyone who is training for a private pilot certificate is looking to manage costs as effectively as possible. One of our main initial goals was to bring a panel that enables a total investment (Panel + Avionics) in the home for just under 25% of the total cost of training for a private pilot certificate. 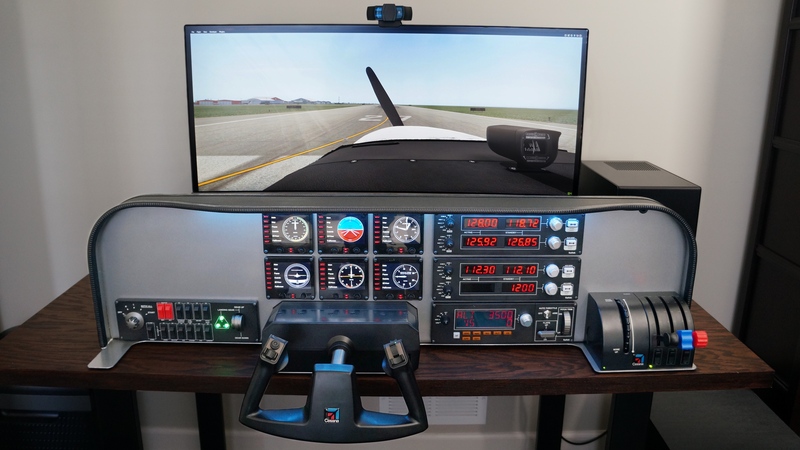 What this means is for a total investment of just under $3,500 USD, you can bring a tabletop G1000 system to your home that functions very well with X-Plane 11, Prepar3D, or FSX. We have a long-term goal to bring that cost down to 15-20% of the total cost of training for a private pilot certificate. This is also very beneficial for IFR type rating training. While you can’t log FAA accredited hours against it at home, it helps to familiarize and practice IFR procedures in the G1000 with real, physical buttons and dials. Coupled with additional ATC software such as PilotEdge, delivers a very rich user experience. FSElite: So why not just sell the turnkey solution? We continue to evaluate ways to be competitive on turnkey solutions, and I believe by the end of 2018, we may have something very competitive in this space. As of April 2018, the number one reason that we don’t have a turnkey solution is because our customers don’t win. I’m not in the business of becoming a SIMiONIC or Logitech reseller. If I did sell a turnkey system, I am responsible to offer that technical support and warranty liability to my customers for those components. If there is a problem with one of those components, the quickest time to resolution is to connect directly to the manufacturer. Ultimately, I have a strict policy that I develop the panel for which the avionics are installed into. I want my customers to have the best technical support or feature request experience as possible, and that means speaking directly with the avionics manufacturer. As I’m not a software developer for the avionics systems themselves, I can’t deliver that best-in-class experience. Many of our customers already own the avionics and components that are installed into SLAVX avionics panels. Because of this, they can purchase an incremental tabletop panel to deliver a rich simulator experience. FSElite: YouTube has taken off rapidly for aviation content, we had an opportunity to preview your channel, what are some of your favorite aviation channels and why? Premier1Driver: Greg has done a fantastic job with the channel, exciting content, and always something new to learn. 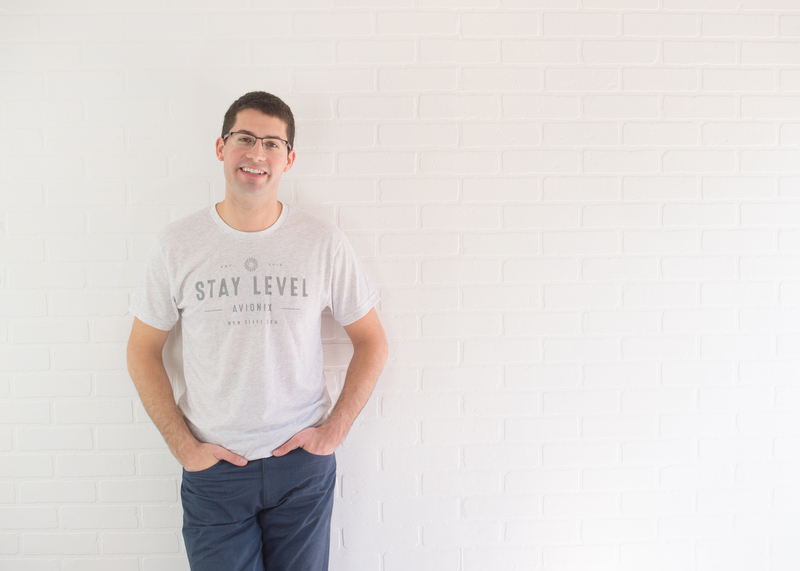 I actually spoke with Greg about the business, and he had some really positive feedback for me, but the biggest takeaway was just how incredibly friendly he is. This is exactly what the aviation community is about, and that’s why I want to continue to be a part of it and contribute any way that I can. MzeroA: I had the opportunity to meet Jason at a local Seminar on Safety. The room was packed full of pilots eager to learn. Jason does a phenomenal job with his online ground school, video content, as well as giving pilots the tools they need to fly safely. I fully agree with Jason’s signature line, “A good pilot is always learning”. Jason thrives on building a strong and safe aviation community, which is clearly visible through his contributions. Steveo1Kinevo: Steveo is certainly living the dream. Flying planes and riding motorcycles. Once again though, just as I said about Greg and Jason, I say about Steveo. He does a great job teaching in his videos, to where viewers can be informed and learn about what is happening in the flight and what he is doing with the plane. The cinematic editing and music selection also make these very enjoyable. Frooglesim: Always enjoy Pete’s reviews of products, what the viewers would like to see next, and the detail that is put into each video. He is able to cover a wide variety of content and products from hardware and software, all the way to individual settings within the software itself. Covering multiple simulation platforms, also brings a sense of community to his channel. I’ll also leave one other thought on YouTube. A good friend of mine, Dylan von Kleist from Rupes USA puts it incredibly well, “It’s about context”. We are often seeing people in their top moments, what is known as the highlight reel. My thoughts on this are to never be discouraged if you think you can’t do something, you absolutely can. It takes hard work, determination, and as Mike Babcock says, “The harder you work, the luckier you get.” Everyone has good and bad days. Be your own adventure. We are excited to support the flight simulation and aviation community through our sponsorship and giveaways at both Flight Sim Expo and Flight Sim Con this year. Take the opportunity to subscribe to our newsletter and view our products at www.slavx.com. If you have any questions, please reach out via the contact page on our website. Thanks for reading. Have fun and stay level. I have been an avid fan of Flight Sim since the release of ‘2000 and have developed my love for aviation ever since. I have the knowledge and experience to really deliver an excellent aviation community. Although no real life flying experience, I have a good understanding and always learning more and more.